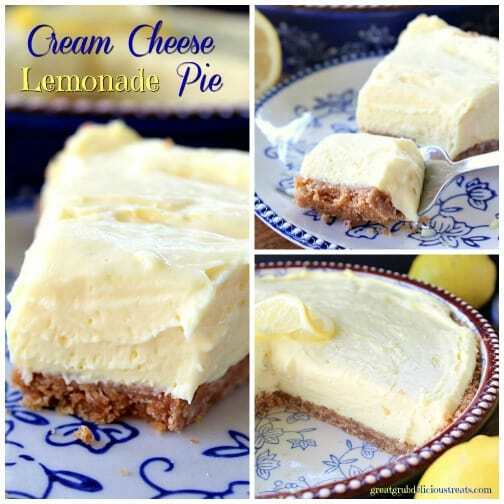 On a hot summer day this cream cheese lemonade pie is just what is needed. This pie is creamy, tart and full of lemony flavor. This is definitely a refreshing, super delicious, creamy dessert. My co-worker, Dawn, gave me some awesome lemon recipes last week and I am loving these tasty lemon desserts. Sharing recipes from my friends is a lot of fun. 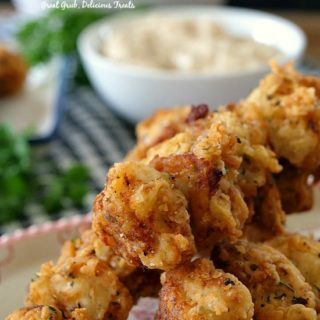 I love seeing and hearing about my friend’s favorite recipes that they have grown up loving. I’m looking forward to more of Dawn’s family’s recipes. I was telling my friend, Arnetta, who works at the bank, about this pie the other day and now I will be delivering one of these tasty pies to her in the morning. She always talks about my blog to all the tellers that help me, every time I go in to the bank. I love her for doing that and sharing my website with her co-workers. 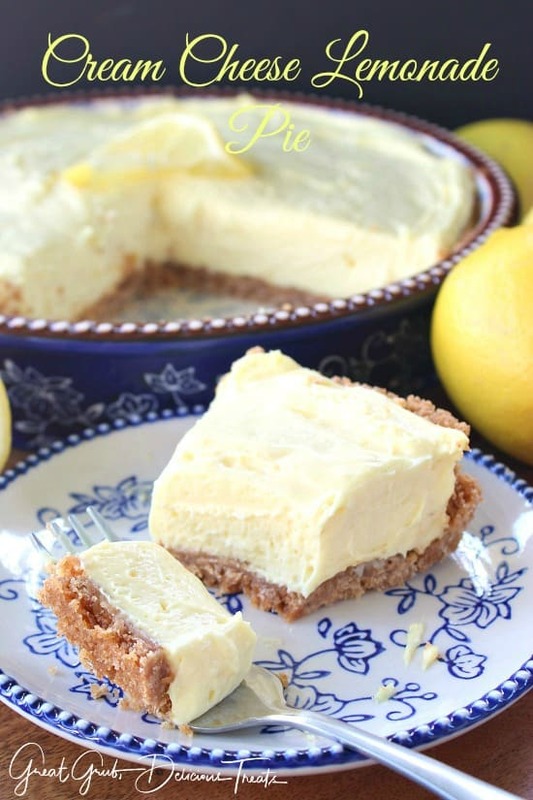 So what better way to thank her then by sharing this delicious cream cheese lemonade pie in return. As you can see, this pie is super creamy. 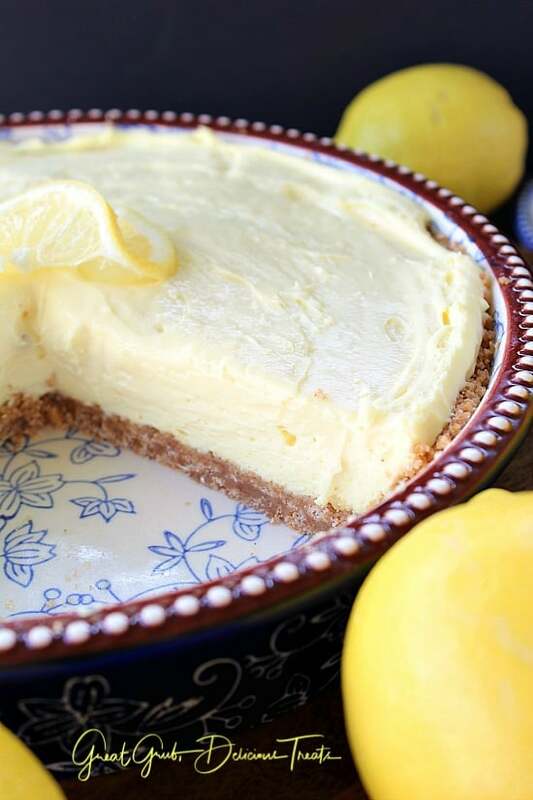 You can taste the lemonade and the tartness of this delicious pie with each bite. So refreshing, so delicious and so amazing! I’ve been on a lemon kick lately, as you all can tell, and I hope you are enjoying all these lemon recipes that have recently been shared. There’s just something about delicious lemon desserts. You can never have enough delicious, tart, lemony goodness. Go ahead and give this a try. 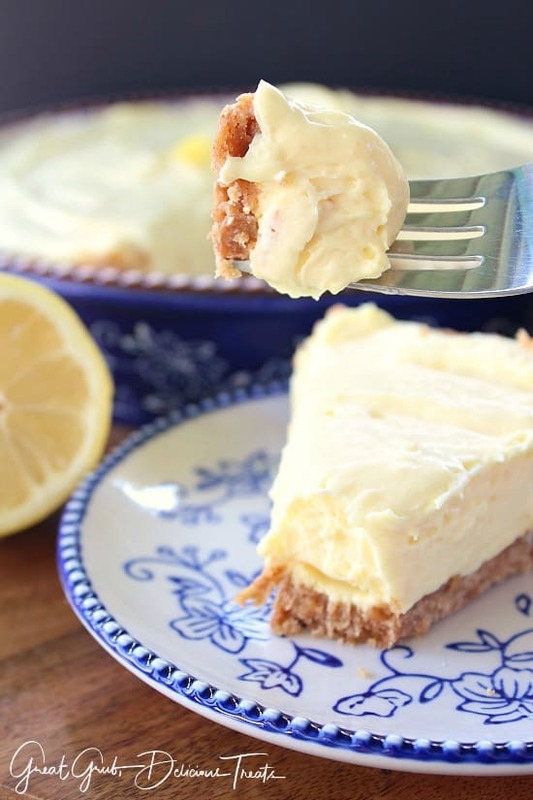 Just remember, this lemonade pie on a hot summer day is super satisfying. 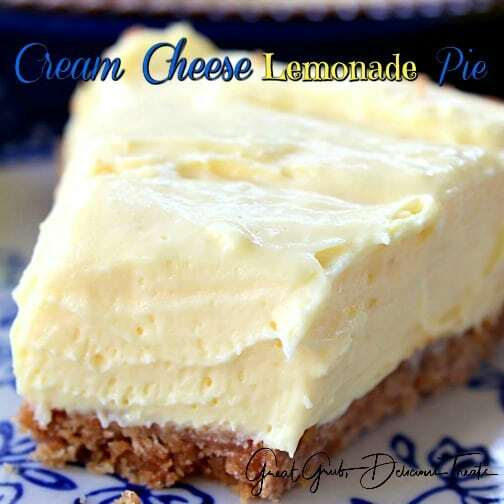 Try this cream cheese lemonade pie today! Here are a few other delicious cream cheese pies on the blog: Orange Cream Cheese Pie, Strawberry Cream Cheese Pie, Chocolate Cream Cheese Pie and Cream Cheese Coconut Key Lime Pie. Here is another delicious recipe from my friend, Dawn, from work. So refreshing and delicious! This is a no bake dessert. If you use a pre-made crust, it's totally no bake. In a small mixing bowl, combined 5 oz can of evaporated milk and pudding mix. Beat on medium speed for 2 minutes (mixture will be thick). Recipe from my co-worker, Dawn. You might end up with more graham cracker crust mixture then what is needed based on how thick you like your crust. Is the frozen Lemon like the frozen lemonade??? Just made this, can’t wait to eat some!!! It sounds delicious,will try this today. I wanted to try it with condensed milk too and also I wanted to know if you think I could use vanilla wafers instead of graham crackers? 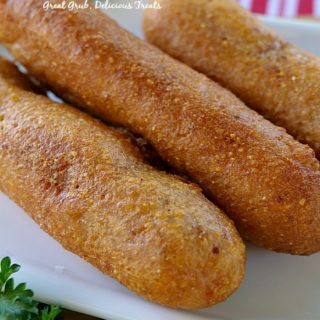 I followed this recipe exactly and it was not good,bitter tasting. I will try again using the sweet condensed milk, not evaporated. Wow Deb, that’s so strange! It should have came out sweet and full of delicious flavor! You said you followed the recipe exactly so you did used the instant pudding then. Humm, can’t understand what happened. After reading the recipe I am wondering if Deb used lemon concentrate instead of using lemonade concentrate-the kind you get in the freezer section in a round tube. Nevermind on my previous comment. I looked further down on the past comments and noted that you told someone to use 3/4 C. lemonade concentrate, frozen. Thanks! Should the concentrate still be frozen/slushy or completely defrosted? Is this thick enough that I could cut it into little individual shapes for a baby shower ? Have you ever substituted the lemonade concentrate for lemon cream in a can? Can you use real lemon juice!? There is no mention of milk in the recipe how much milk do I mix with the pudding? If you use the premade graham cracker pie crust, would you still bake it? Can you use regular lemon pudding instead of instant? when looking for the pudding the small box is 1 oz so I bought 3 but 3 boxes with only 5 oz of milk made a solidified mess. I would change that to say just 1 small box. Hi Lisa, I’m so sorry about that! I did update my directions a while ago to say “one small box” due to some confusion with the way the boxes of pudding are labeled. What’s lemonade concentrate?? In UK! Nope, just add 3/4 cup of it frozen. 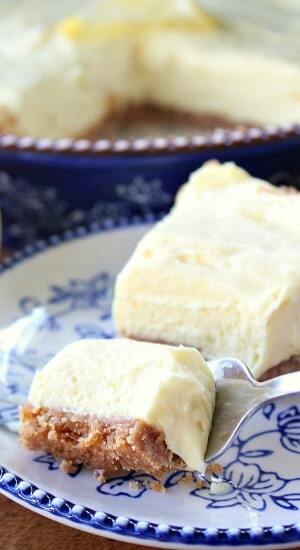 Real Ainsley to a Jello no bake cheesecake. Use lemon Jello, no pudding or concentrate. Make a real light airy cheesecake. Going to try this recipe though. Could you sub lite cream cheese, sugar free pudding and splenda to help reduce the calories some? The filling had a nice flavor. My daughter thought a crust made from crushed lemon cookies would be good, and also some fresh squeezed lemon in both. I am thinking as one of the layers in a dessert it would be great too. Thank you! This looks like it’s going to be AMAZING, can’t wait to try it this weekend! This looks amazing. I can find every frozen concentrate but lemonade around here could I use regular real lemon concentrate and would it be the same amount. I can’t wait till I find it and I have everything else lol!!? Made this pie but switched out lemon for coconut cream pudding and frozen pina colada mix. It’s awesome! Where did you get your cute pie plate? I bought the ingredients for this today and let them sit out when I got home. As I started to make it I realized I’d grabbed condensed milk instead of evaporated milk. I decided to make it anyway thinking it would still be good. And it is! Delicious! Off the spoon anyway. It’s chilling now but I’m sure it will be just as good tomorrow. And who will know, besides us? I would really like to know the answer to that. I put the condensed milk was awesome. I have cook and serve pudding, would this work instead of the instant. If we used a ready made graham pie crust do we need to still bake it? in the process of making this. Just put the pie crust in the oven which for me took a deep dish 10″ pie plate. Right now I would say it is swimming in butter, far too much. Is there a mistake in the crust recipe? Should it read 1/3 cup butter, melted instead of 2/3 cups? Would appreciate a reply thanks. Hi Pam, How did your crust turn out when you took it out of the oven? I have made it many times, I do sometimes have extra crumb mixture that I don’t use, so I’m not sure if that might be why. But I’ll share some awesome words from my friend, Judy, The Midnite Baker, “Your crust tastes more toasty and caramelly” when made with a bit more butter. My crust had way too much butter, also. It was also between hard and chewy. Next time I will just buy a couple crusts. Do you know what the calorie or fat contents would be in this pie for someone on a diet? Fat has calories, sugar is stored in the body as fat. If u are watching calories= don’t make this, don’t eat this.!!! This looks delicious! What would you use if the instant lemon pudding mix were not available? Frozen lemonade drink. It usually comes in a cardboard tube in the freezer section by the frizen orange juice. 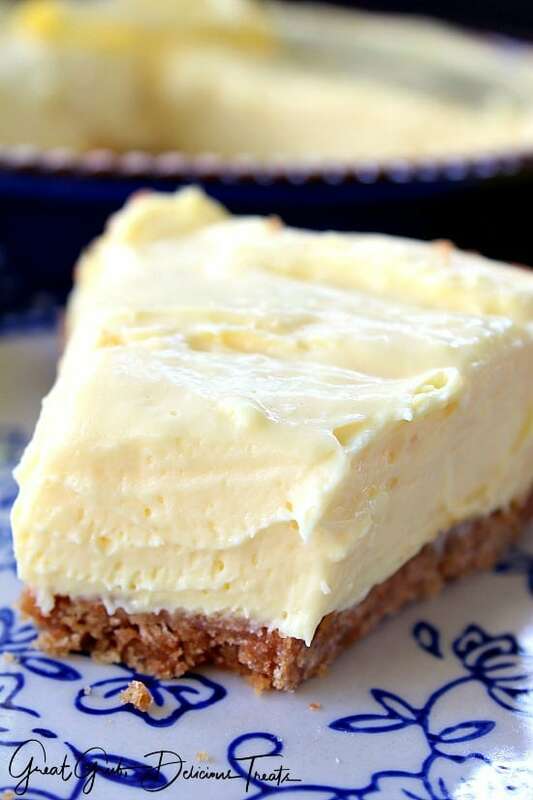 Pour into graham cracker crust and freeze. Sometimes I skip the crust! Thank you, I’ll be trying this! 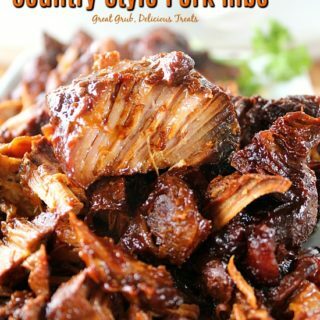 This is my go to recipe too! Never tried it with other flavored. Will have to try it. I’m sure for optimum summer cooling affects I would need to consume the pie in one setting?!!! Do you make the pudding with regular milk and then add evaporate milk or just pudding mix and evaporated milk?? Just to be clear, this recipe only calls for only 5 oz. of evaporated milk? I can’t find a 5 oz. can in my grocery store, only 12 oz. Just double checking! Thank you. Hi! 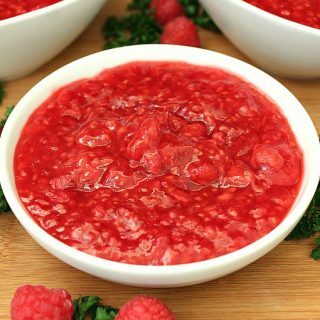 This is a wonderful dessert!! I just made it again this evening and sadly realized I had used the cook and serve kind of pudding instead of instant…. Do you think it will set up? Hi Allyson, I don’t know if it will or not. How did it turn out? Is it condensed milk or evaporated milk (I’m sorry..just a little confused because you talk about condensed milk in the comments, but the recipe calls for evaporated milk) This looks REALLY yummy! Can I freeze this tonight, and let it thaw in the fridge tomorrow at my cookout? What would be equal to the 3/4 lemonade concentrate? Can you use regular milk rather than condensed milk? This looks like a real treat thanks for sharing! This pie is perfect! Lemon and lime pies are my favorite desserts. I found you at The Charm of Home. Thank you for sharing this! Pinned to make and share. Oh Marla, I’m sorry. I will make it more clear in my directions about the pudding mix. I will state a “small” box of 3.4 oz pudding mix. I have made many errors with baking/cooking. I know it’s frustrating. I just made one myself with some scalloped potatoes I was making. Trashed it! Thank-you for answering!!! The small boxes here r 1 oz!! I’m so confused! I didn’t trash it though! Pretty lumpy! I love anything lemon n so does my family!! Thanks again! Ok I think why me n some others r having trouble with the recipe is because it calls for 3.4 PS but every small box n Texas is 1 oz n we r all tripling it!! The big boxes r 1.5 PS! My son jus said mom is there marshmallows n it!! That’s how rubbery mine was! The flavor is awesome!!! Thanks for sharing n now I will know next time!! Thank-you!! Oz not PS!! Sorry!! Can you send me a picture of the 1 oz box? That just seems strange to me selling such a small box, 1 oz, of instant pudding. The 3.4 oz makes 2 cups of pudding. I’m trying to figure that out to send a picture!! It makes 4 servings! My son even saw it! Do u have fb? I would like u as a friend if u do!! Or send me ur email plz!! Thanks! Maria, Suzanne in Texas here, and this is what I think: I think that the HEB Brand called “Hill Country Fare” Instant Pudding (house brand) is mistakenly labeled. The Hill Country Fare Vanilla instant Pudding box says it makes ‘four 1/2 cup servings’, but the Net.Wt. is listed as 1.34 OZ. Clearly wrong, when compared to the Jello Brand box of instant pudding that is labeled: 3.4 OZ, and also says ‘makes four 1/2 cup servings”……The confusion is that the HEB brand (Hill Country Fare) sometimes labels in both English and Spanish, but in this case, they have simply made an outright ERROR: the HCF weight is NOT 1.34 OZ; the box is labeled by HFC erroneously……Compare the HCF box to a Jell-O Box and you will instantly see what I mean…..
Help they make a 3.4 oz pudding mix? Hi Marla, yes, it’s the small box of instant pudding mix that states on the box 3.4 oz. The recipe calls for deep dish pie pan. 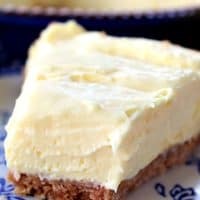 Would the regular store bought graham cracker crust work or should I look for deep dish crust or could I split the recipe in half? Will this be enough to make two pies of the ready made crusts? So, my pudding and evaporated milk mixture turned into rubber cement. Like legit rubber. I followed directions… Any suggestions????? Hi Michelle, yes it is supposed to be very thick. Just mix it in with the cream cheese and lemonade concentrate. Do you need to soften the cream cheese? I made this pie last month with a store-bought crumb crust and it was fantastic. Today I tried making the crumb crust and I wonder if the amount of butter is a misprint. I just took the crust out of the oven and it is soup. Hi Jeanne, I seriously do not know why your crust turned out that way. I just made it again this morning and it worked fine. I don’t always use all of the graham crackers mixture. Maybe try it again and just use a little less crumb mixture in your baking dish. The problem was that there was way too much butter for the amount of crumbs. Perhaps it was because I was using crumbs from gluten free cookies. I blotted the excess butter off the crumbs and baked it a little while longer and the crust was okay. I used ginger snaps, which was good with the lemon. The pie is a new favorite of mine. This is the best pie ever. I love it!!! Thank you Brenelsa! I totally agree! I just finished making another one… They’re SO DELISH!! Have you ever doubled the recipe and used a 9 X 13 dish? I always have a big group to serve desert to. Twhen doubled, do you increase the cooking time on the crust? Hi Kim, are you putting it in a 9 x 13 baking dish? If so, no you don’t have to cook it longer. I can’t find frozen lemonade concentrate at my local grocery store. It’s a small town. How can I substitute this? Hi Angie, here is my response to the same question someone else had…. you can make homemade concentrate by squeezing the juice out of 4-5 lemons. Add 1/2 – 3/4 cup of sugar to 1/2 cup of hot water. Stir until the sugar has dissolved. Mix in the lemon juice and put in the freezer until it’s frozen, then use once frozen. I hope this helps. is the regular or the sweet milk? I froze this pie, will it still be “OK”? If you use a 9 inch pie crust instead of crumbs do you still bake the pie crust? I added fresh whip cream, everything is better with whipped cream! Do I thaw the lemonade concentrate before I put it into the ingredients? Hi thank you for your recipe, it looks delicious! Not sure if my comment posted so forgive me if it comes up twice ? I haven’t seen frozen lemonade concentrate in Australia so are there any alternatives, please? Hi Carla, you can make homemade concentrate by squeezing the juice out of 4-5 lemons. Add 1/2 – 3/4 cup of sugar to 1/2 cup of hot water. Stir until the sugar has dissolved. Mix in the lemon juice and put in the freezer until it’s frozen, then use once frozen. I hope this helps. That is awesome! Thanks so much ? I made this for our Father’s Day cook out. Only thing I thought it was 15 oz of milk instead of 5 . We’ll see what happens when we cut it. Tasted really good and was still firm. ?????? Going to give this a try as love lemons. It’s been so HOT now time to do cool to cold things. When gets to HOT I do not eat much as it makes me sick so this sounds just great for what I need. Oh no Eddie! So what was the final result? I am definitely going to try this one. Just Love, love Lemon.. How do I find more of your lemon recipes ? pecan chocolate pie one time. Used a huge pie plate, so I used one and a half recipe. Got sidetracked and when I went back to finish it I doubled the vanilla, butter AND bourbon. Turned out great!! Hi, can you tell me if you use the whole can of lemonade concentrate or do use half. Thanks in advance! Hi Palmer, just use 3/4 cup of lemonade concentrate then freeze the remainder for the next time you want to make the pie. How much ahead of time can I make this do you think? Would two days be too early? I made this last night and it turned out so good. I used the little mini pie crust I saw at the store instead of the big one. Great for individual treat. Yum! I may have to make more. My family loves it! How do I sign up to get new recipes you would share? Hello does the cream cheese need to be at room temperature? Wow that looks really yummy..
Hello! That blue and white China looking dish is that a baking dish? I’m a guy asking this question so have mercy on me:) If I were to buy a baking dish what size should I look for for this recipe? I made this yesterday and it is wonderful. I bought the sweetened condensed milk by mistake, but I do have a 12 oz can of evaporated milk. Would it be better to use the sweetened condensed or 5 oz of the evaporated milk? I don’t want it to be too sweet, girls night tonight, and I want it to be really good. Could you substitute country time lemonade mix instead of lemonade concentrate? Is it necessary to bake the crust? 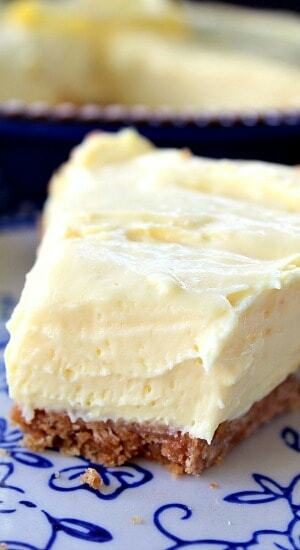 I have a no-bake cheesecake recipe where the ingredients for the crust are the exact same as this recipe. I’m only asking because I would like to make this in little individual cups, but the containers cannot be put in the oven. Looking forward to making this; it looks so refreshing and delicious! Just made these, but used individual sized Graham cracker crusts. This recipe filled 12 of them. Can’t wait to eat them, the filling I licked off the beater was yumm o. Made a double batch in a 9×13 and is cooling in frig right now. Can’t wait for our cookout this afternoon to share!! Just licking the spoon I fell in love with the filling and what doesn’t go great with a graham cracker crust! This is definitely going to be a favorite. Thanks for the recipe share. Made this yesterday but had to do sugar free lemon pudding mix and it is fantastic. Does anyone know the nutritional value of the pie. How many slices can you get from the pie. I am a little confused on the amount of evaporated milk. I have not seen a 5oz can before, just a 12oz can. I did not it came in a smaller size. It is 5oz that is required for the recipe, right? You can just use 5 oz and freeze the rest of the milk in a freezer container to use another time. Does this pie freeze well for a make ahead and have ready dessert? Awesome! Going to make it for Memorial Day :). Thank you!! Please tell me what’s lemonade concentrate? Does lemonade concentrate need to thaw first or use slightly frozen?? Could you add something other than the lemon concentrate, if you like it a little less tart? If so, suggestion please. I have made this exact recipe but used some of the non alcoholic drink concentrates, such as pina colada or strawberry daiquiri. Sooo good!!! Sheila, did you still use the lemon pudding, or use a different flavor with the daiquiri? I love anything lemon. This looks delicious! 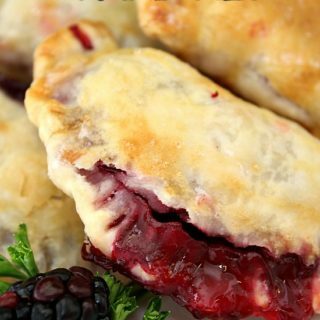 For an different treat, add chopped fresh strawberries to this pie. I make one that is sweetened condensed milk, whipped cream, lemon juice, almond flavoring, and fresh strawberries. This sounds like it would be similar if you add strawberries. I’ll have to try your recipe too. Would u share your recipe ? In the UK i’ve never seen anything called lemon pudding mix. I have searched online and it doesn’t seem to be available to buy here. Is it similar to what you put in lemon meringue pie? Hello, Google jell-o instant pudding and it should show you a picture of what to use. You can order it online if you are not able to purchase it locally. I hope this helps. With mixer (I just use a whisk & elbow grease), beat cheese until fluffy. Gradually beat in Eagle® Brand‚ until smooth (no lumps!). Stir in lemon juice, and vanilla. Pour into crust. Chill at least 3 hours. I put 1/4 cup sugar too. Just seems to taste better. People get reallly disappointed if I don’t make these at Christmas or Thanksgiving! Do you prepare the pudding? I’m in the process of moving, the only thing I have that’s not packed is a blender. Going to a barbecue on Sunday and have to bring a dish. Do you think I could do the filling in my blender? This sounds delicious! I love lemon and cheesecake! If I substitute heavy cream for the evaporated milk, will the cream curdle from the acid from the lemonade? I can’t find instant lemon pudding Can I use the “my T Fine” brand? This requires cooking it. Hi Deb, I can’t guarantee that it would turn out. I wonder why the stores near you do not stock lemon pudding? Make sure you let it cool completely before mixing with cream cheese and it should be fine. Thank you. Get ready to make today. Can I use a 9 x 13 inch pan instead of a deep dish pie pan so it can be served in squares? Thank you so much since I am a lemon dessert lover I can’t wait to try it. This is the simplest recipe…if you can read it should be easy to follow the recipe! Making this and thanks for sharing! I’m so sorry I don’t have that information at this time! 8 or 9 inch deep dish pan? Sounds amazing! Smoking pork by the pool this Sunday. This will make the perfect dessert! Looks delicious as I love lemony stuff. I will incorporate lemon zest into my pie. Thank you for this treat idea. Thanks for the recipe. Going to try this with a Ginger snap cookie crust!!! ? You don’t mean the sweet can milk,just a can of evaporated,? I’m not a fan of boxed pudding mix, so what could I use in place of this? Is 3/4 cup of lemonade concentrate the same as one small can? Do you mix the pudding up before adding to the mix? 3.4 oz of pudding mix would be 3 1/2 small boxes,right? That seems like alot. So ready to make this but will wait for reply. Thanks! No, one 3.4 oz = one box and that is all you need. Yes 3 1/2 small boxes would be WAY TOO much. So just use only one box. 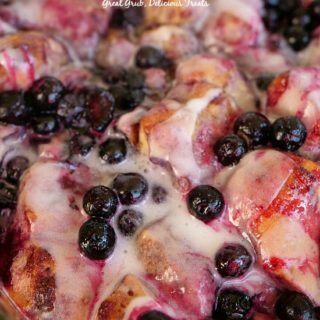 I hope you fall in love with this recipe! do you let the concentrate melt, or should it be frozen when you combine it with the other ingredients? Hi Mimi, I just put it in frozen. Mine isn’t frozen solid though. Let me know how you love it after you’ve made it. It’s soooo refreshing. This looks amazing! Our family loves anything lemon, so I will be making this very soon.